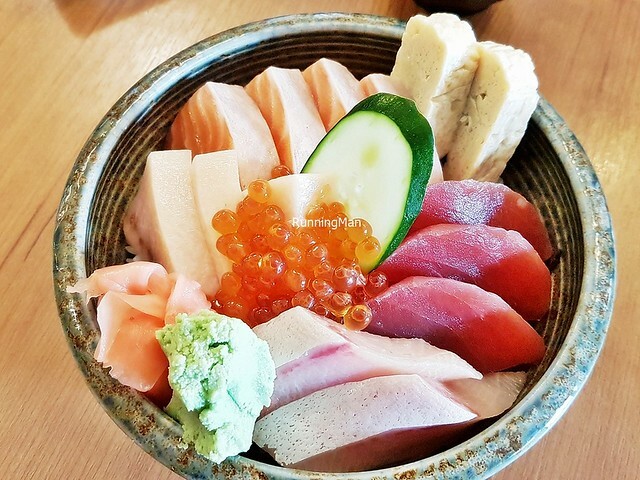 Founded by ex-lawyer turned restaurateur Esmond Yue and his chef brother Alvinn Yue in January 2015, Manzoku is a casual, mid-range Japanese restaurant known for their fresh sashimi, tasty robatayaki, and hearty donburi rice bowls. 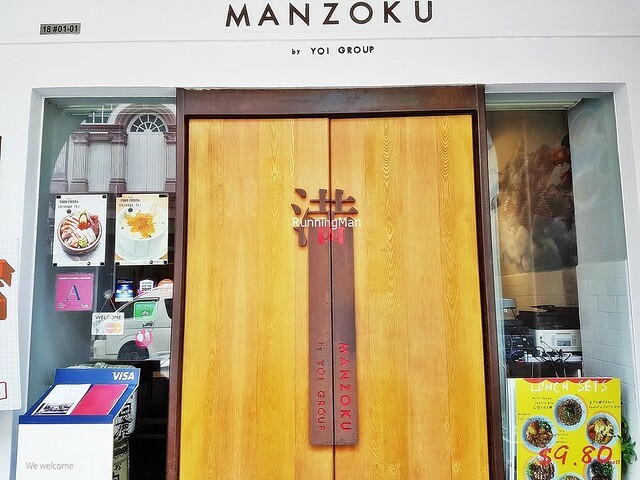 Operated as part of the brothers' Yoi Group, Manzoku, which means 'satisfaction' in Japanese, satisfies with their fresh ingredients and handmade sauces. 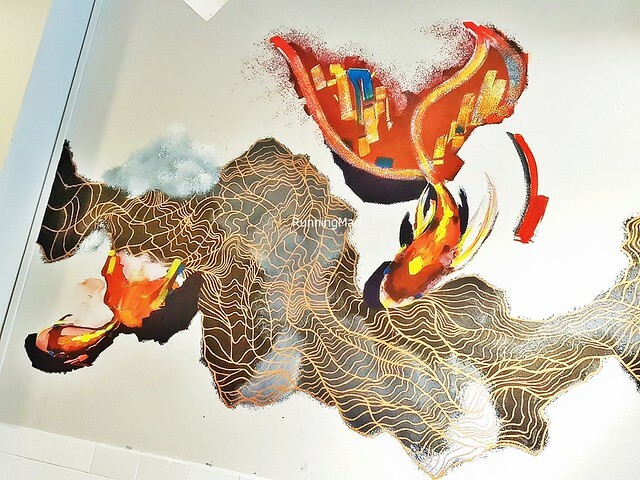 Ambience at Manzoku is casual modern, with shades of wood and white. The spacious open layout feels welcoming, the warm lighting and decently comfortable wooden furnishings are simple, with clean lines. 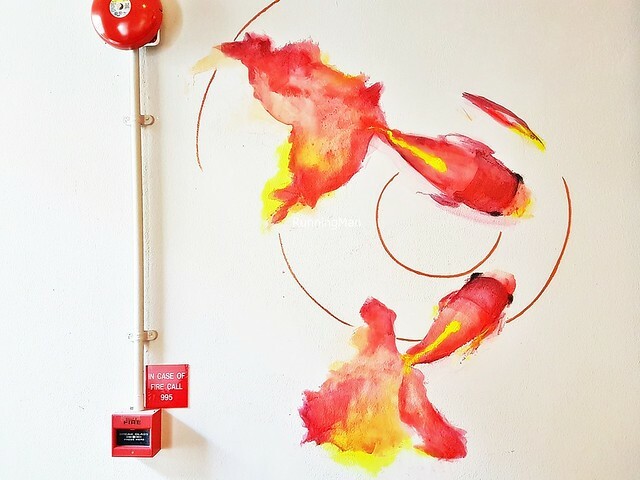 The tranquil zen feeling is also channeled through artwork of swimming fishes, meant to represent good luck. Service at Manzoku is straightforward and functional. The mostly young staff will quickly seat guests, but overall, there isn't much engagement with diners. They also seem unsure on menu items, usually having to check before answering. They are polite, with a quiet air, and will offer to clear away empty / dirty plates near the end of your meal. 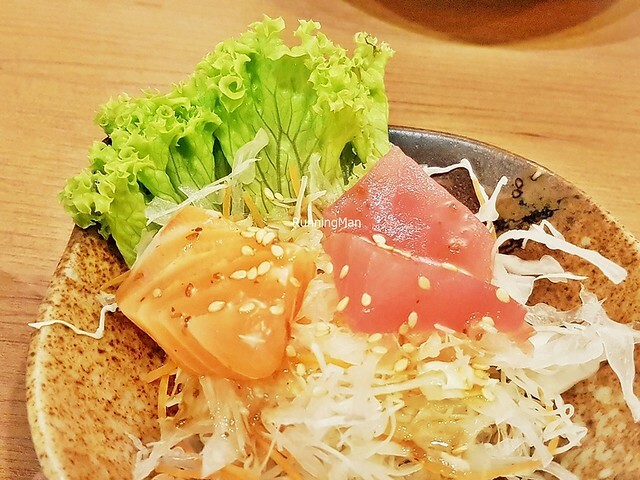 Food at Manzoku is mainly Japanese cuisine. 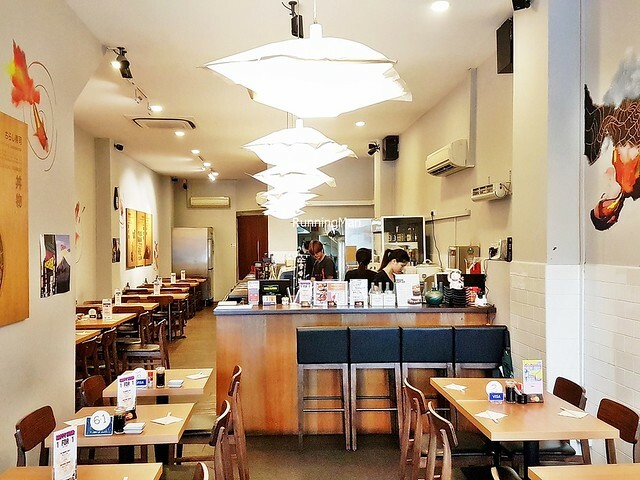 The menu is extensive, but highlights here include their fresh sashimi and sushi, their tasty grilled robatayaki items, and their house-made sauces and dressings. Portions are decently sized for individuals, and the set meals are good value for money. 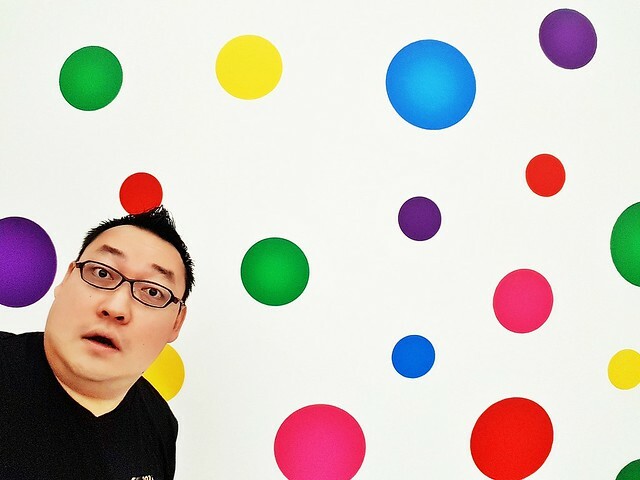 Prices are mid-range but still affordable, budget about SGD $40 per person for a meal here. 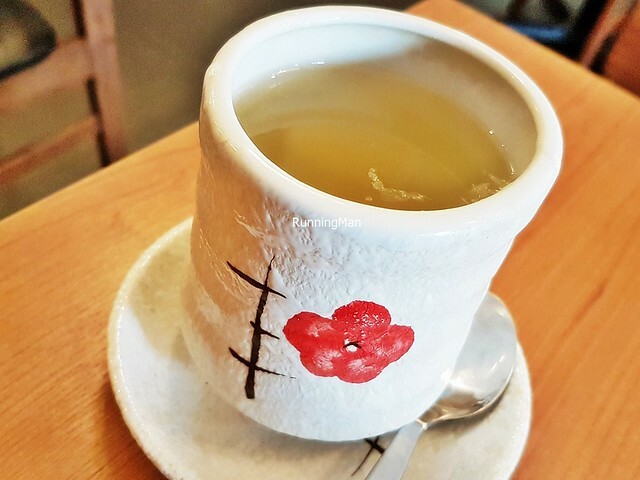 The Yuzu Tea (SGD $1.50) has notes of zesty fruity sweet, a refreshing beverage. I like that it's delicate enough. 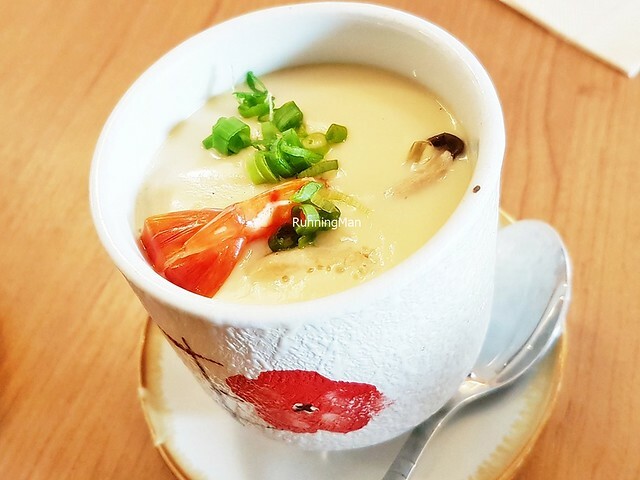 Loved the Chawanmushi (SGD $5), with its wobbly soft, silky texture. 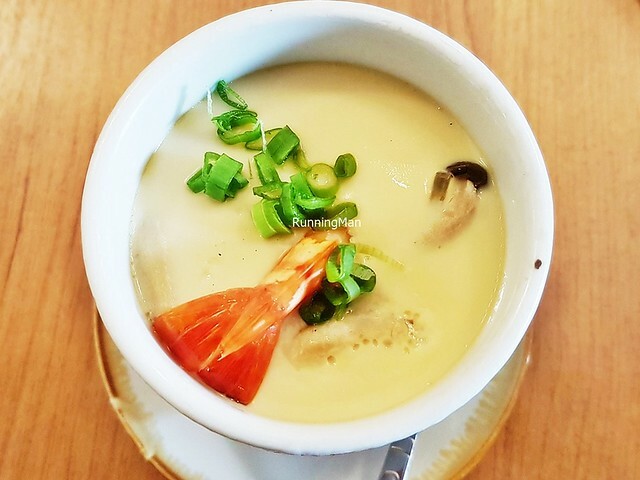 The egg is garnished with a fresh shrimp, straw mushrooms, spring onions, and crabstick, an overall delicious appetizer. Worth ordering! 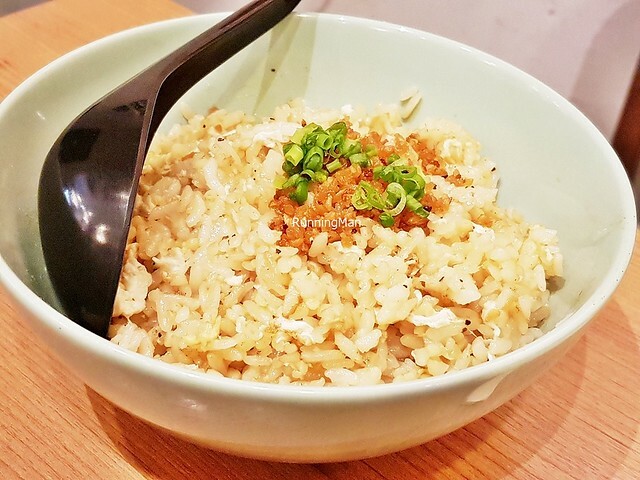 Love the light fragrance of the Ninniku Gohan / Garlic Fried Rice (SGD $8), with its smoky, savoury flavour. 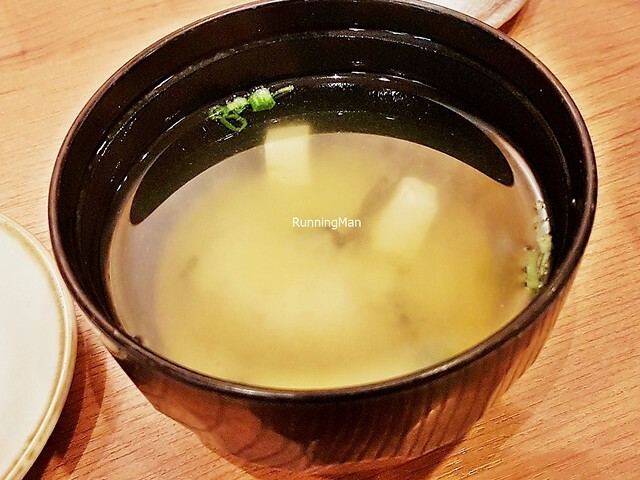 The garlic is nicely blended with the rice, so while it lacks a crisp texture, it also doesn't have that sharp acidity or pungent flavour, coming across as pleasantly mellow. Worth ordering! 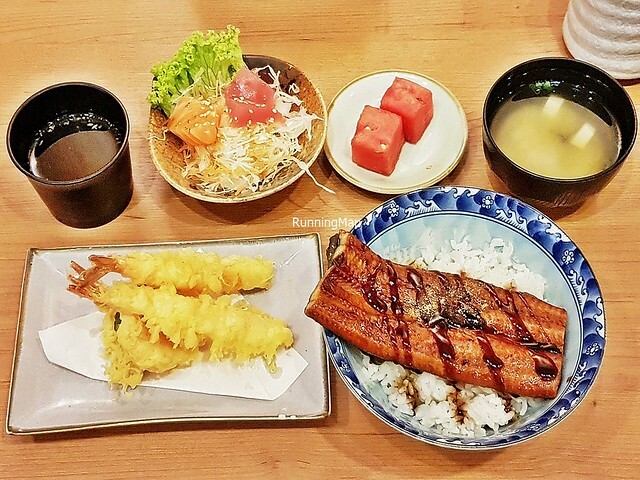 The Unagi Don And Tempura Set (SGD $19) is really filling. 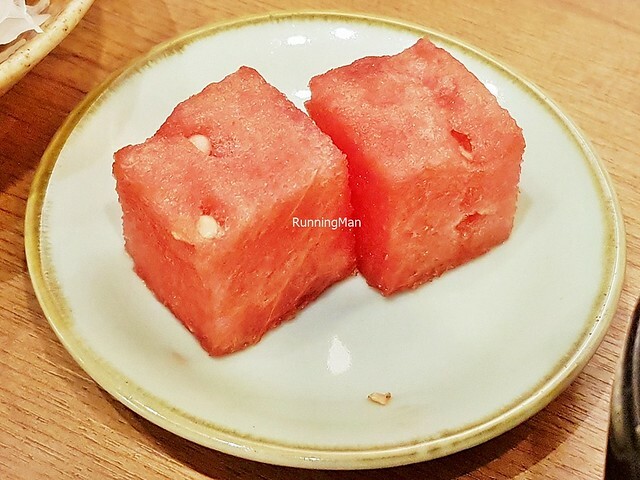 I like the juicy sweet Watermelon, earthy savoury Miso Soup, and the fresh, thickly sliced, clean-tasting Sashimi Sampler Appetizer with a duo of fish; salmon and tuna. 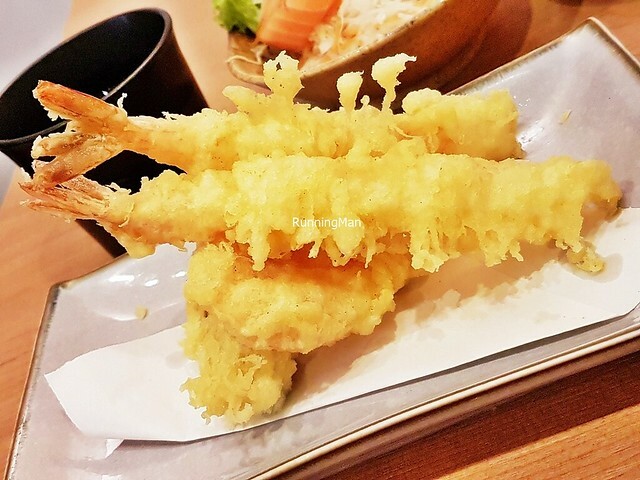 The Assorted Tempura has prawns / shrimp, sweet potato, and okra / lady's finger, all coated in a light, crisp batter, allowing the natural flavours to shine through. 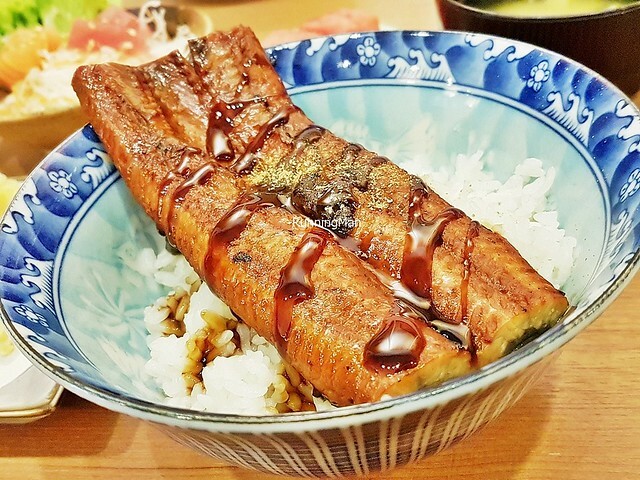 However, I was slightly let down by the Unagi Don, while I like that their teriyaki sauce isn't too sweet, the eel itself has a strong muddy flavour, would have liked it grilled slightly longer. 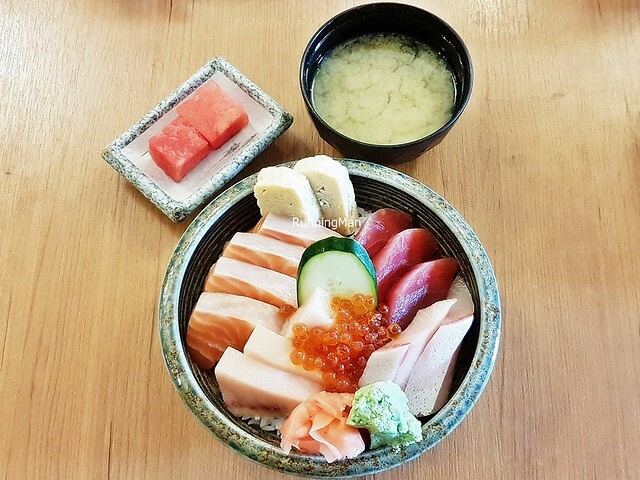 The Chirashi Don Set (SGD $25) is served with juicy sweet watermelon and a delicious earthy savoury miso soup. 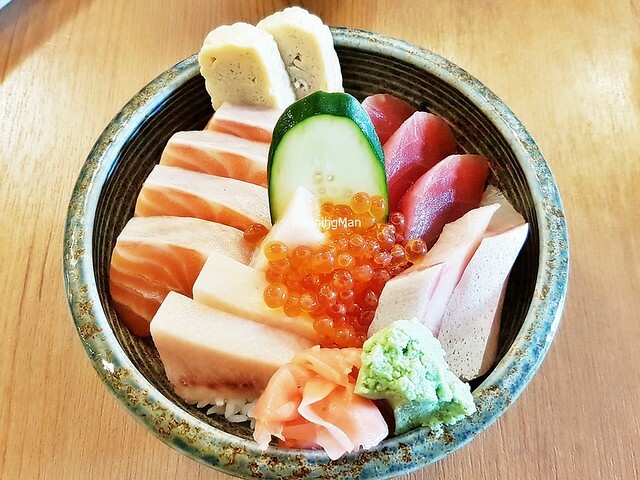 But the highlight is the much raved about Chirashi Don, with a bed of fluffy sticky sushi rice stacked with fresh, thick slices of fish, including salmon, tuna, swordfish, and amberjack, along with salmon roe, egg, cucumber, pickled ginger, and wasabi. Good value for money and good quality too, each thick slice of fish is fresh and clean-tasting, with delicate sweet savoury flavours. Highly recommended!